CES 2019. That, an AI motion sensor and Air Quality Sensor. So what are the alternatives? Wink? Amazon? Presence - Life360 connects but presence is not displayed after connection. Audible Alerts - this was never a Samsung solution, their speakers are very hard to find, expensive and still do not work consistently. Big-Talker was the solution for me, like life360 it displays in the new app but doesn’t do anything. For me, as johnconstantelo said, there’s so much time involved in just understanding the difference, I’ll spend my time for now looking to see if I can accomplish what I want in another system, that won’t be yanked out from under me. If you’re looking for something that won’t be yanked out from under you, I personally wouldn’t have wink on my candidates list. As far as audible alerts, Echo has pretty much solved this now, and it works well with smartthings as long as you don’t need it to be local. The only thing is you do need a virtual device which is both a switch and a contact sensor, and to be honest I’m just not sure if that works with the new app or not. If it does, you’re all set for that feature. And in any case my guess would be that Amazon will add the ability to trigger an Amazon routine (not a SmartThings routine) from a switch in the next few months, which then simplifies everything again. The only thing is you do you need a virtual device which is both a switch and a contact sensor, and to be honest I’m just not sure if that works with the new app or not. I’m using this exact feature with the new app without any problems. 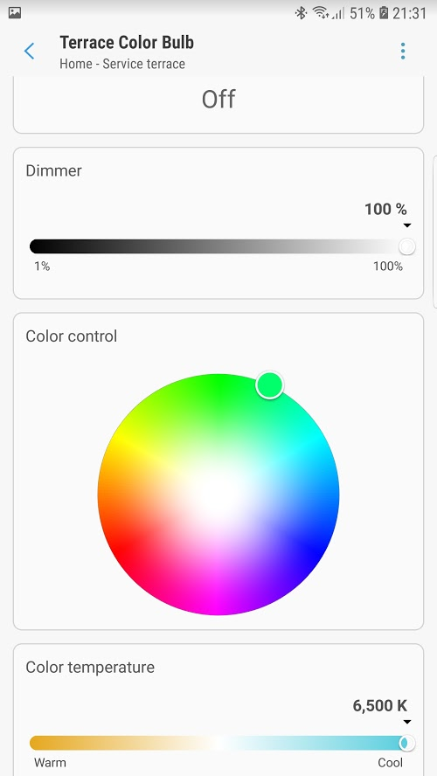 Has anyone from ST ever given a reason why when you try to create a custom automation in the new app that you can’t use the device as a condition and then control the device? If Switch 1 is off, Switch 2 is on, and Door is open, then turn Switch 2 off. Unless I’m missing something you don’t need to use SW2 as a condition. If SW1 is off and Door is open then turn off SW2. If SW2 is on, it will turn it off. If SW2 is off, nothing will happen. Why does the playstore not show that as the latest version? Are you a beta tester at all? 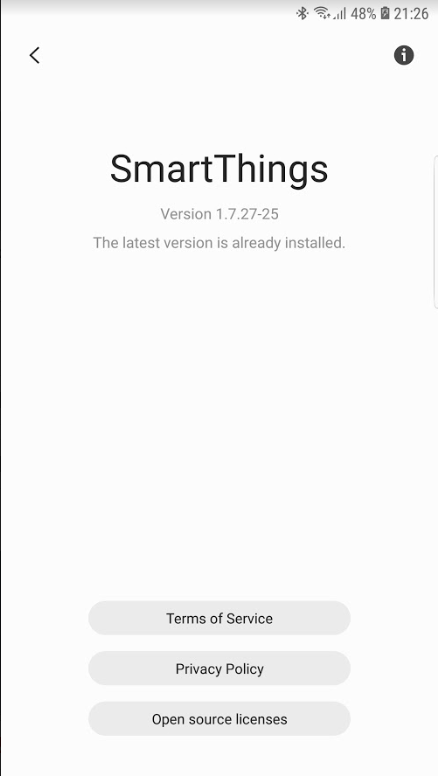 Maybe Samsung One UI updates it? This update was showing in the Android Play store for me, so I’m now running 1.7.27-25 as well. Don’t see how that could be limited distribution?